This month, we are having a special Oaxacan dinner featuring the amazing organic mushrooms grown by the Ortiz family in San Juan Bautista. We’ll begin with a Mezcal cocktail designed just for our event. With each course, we’ll enjoy tastings of Tosba Mezcal as we learn about this amazing small producer. 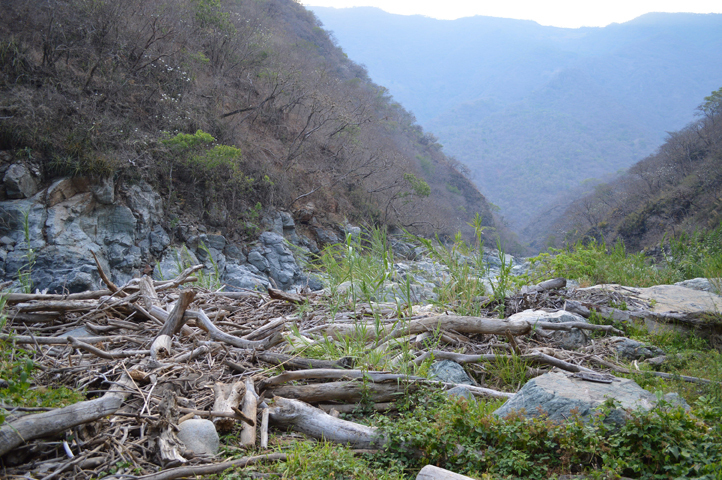 Come with us into the remote mountains of Oaxaca, where the rutted one lane roads are barely passable by jeep. The villages are small, and rely on the production of artisan Mezcales to provide for their families. It’s a dramatic landscape punctuated by deep canyons and clear pure streams. 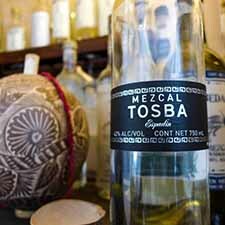 Tosba Mezcal is one such small producer of fine Mezcal. Founded by two cousins from San Cristóbal Lachirioag, Oaxaca México, Tosba is a premium Mezcal made using traditional methods of the region. The cousins were concerned by the increasing numbers of native people who were migrating from their home in Cajones-Villa Alta in the Sierra Juárez mountains for purely economic reasons. The cousins felt a calling to bring back the disappearing mezcal production and the ancient ways of the Mezcalero in a way that could bring economic opportunity to the area. In Zapotec culture, respect for the Earth and nature is a way of life. Today, it’s called environmental responsibility and sustainability – but it’s how the Zapotec have always lived. Tosba uses wood collected from the river after the seasonal floods to cook the Agave. This reduces the need for logging. In addition, they support local and federal government campaigns to aid in reforestation. The Agave used in Mezcal Tosba production grow on the hillsides alongside wild fruit trees, sugar cane, mango trees and coffee. The pure, clear water comes from natural springs that flow through the beautiful remote mountains. As always, Harvest Club Members pay only $35, and may pay for 3 seats and get a 4th free. General public $45. Gratuity not included. After dinner, we may want to extend our cultural experience and walk a few blocks over to Mayahuel together to listen to the amazing Diego Frias on guitar as he plays on the patio.